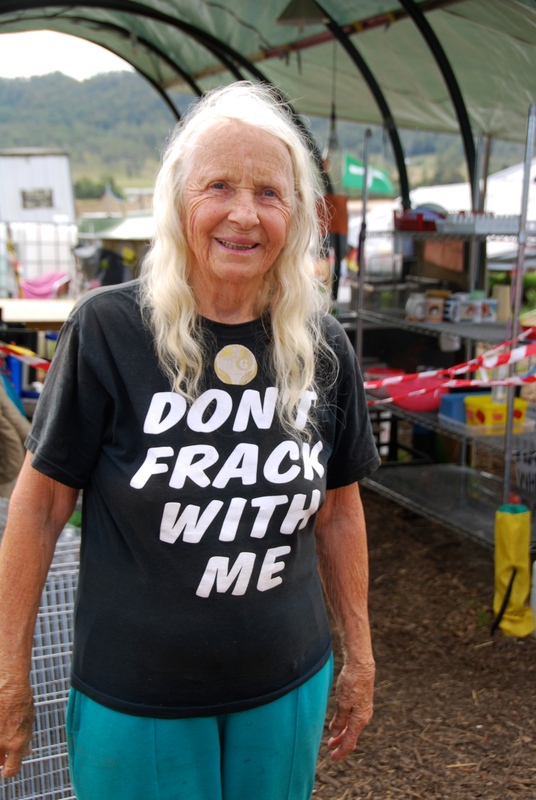 Her t-shirt read: Don’t frack with me. It might seem an unlikely message for an 83-year-old woman to be carrying, but Liffy Jack left me in no doubt that she meant it. “This is the most important thing I have done in my life,” she told me. 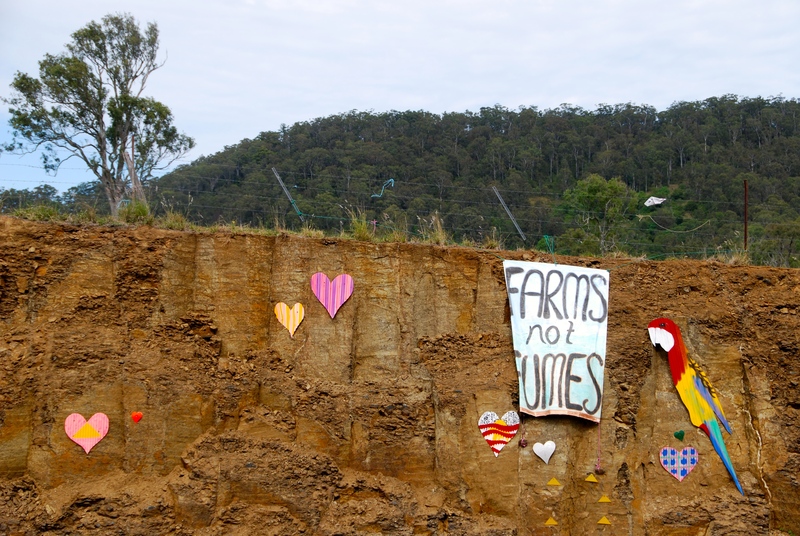 I met Liffy last year at a community blockade on farmland in northern New South Wales. She was one of thousands of people who for four months staged a protest against allowing coal seam gas (CSG) mining to go ahead. Liffy is a member of the Northern Rivers Guardians (NRG), a community group that “started as a trickle and become a flood” as it worked towards ensuring that farmland was protected from mining for future generations. She is just one of tens of thousands of passionate Australians around the country prepared to put their lives on hold, or to give up whatever spare time they have, to fight against potential dangers to their communities and the environment. “Fracking” is a commonly used term for hydraulic fracturing, a drilling technique used to accelerate the flow of gas to a well or bore. It involves the high-pressure injection of sand, water and chemicals into the gas-bearing rock, which causes fractures in the rock allowing the gas to flow to the surface of the well. Among concerns about fracking are the contamination of water supplies and soil by the toxic chemicals used and of seismic activity and earth tremors caused by the drilling and fracking process. Mining activity also takes over agricultural land used for growing our food. 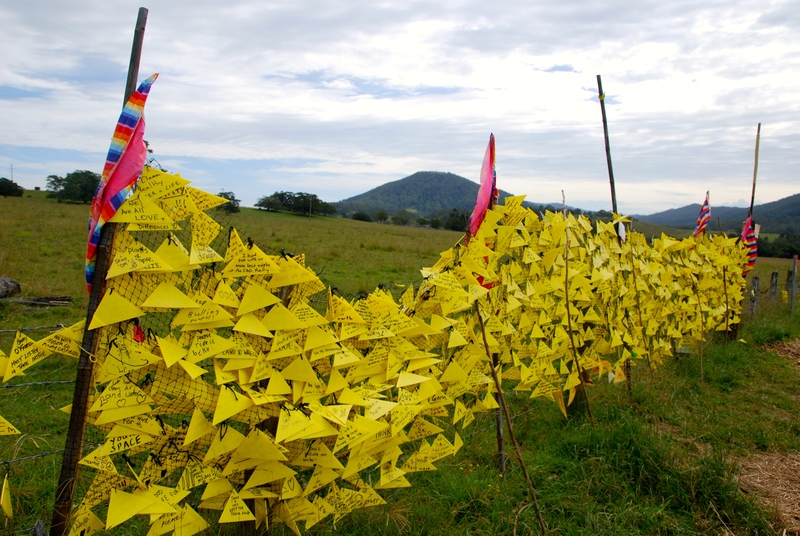 In New South Wales, the fight against fracking has been taken up by people from all walks of life, from farmers to conservationists, grandparents (there’s anti-CSG group called the Knitting Nannas), lawyers, doctors, students, priests, shop-keepers, teachers, politicians and indigenous custodians of the land. They’ve banded together wherever the threat is seen to land, water and communities to protect them from unsafe mining for coal seam gas or other fossil fuels. And at the Bentley protest camp, stop it they did. 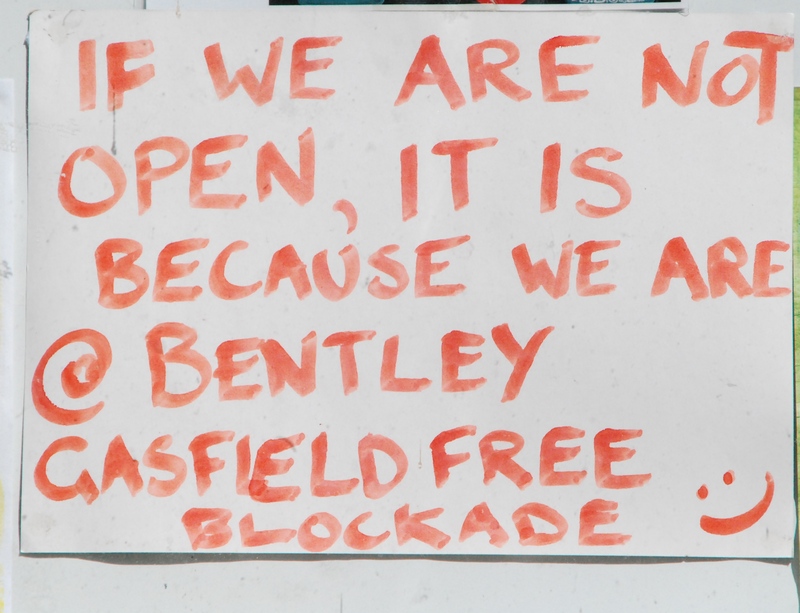 A week after my visit, to great rejoicing at the camp, the New South Wales government suspended the licence for the mining company Metgasco to drill the exploration test well at Bentley. 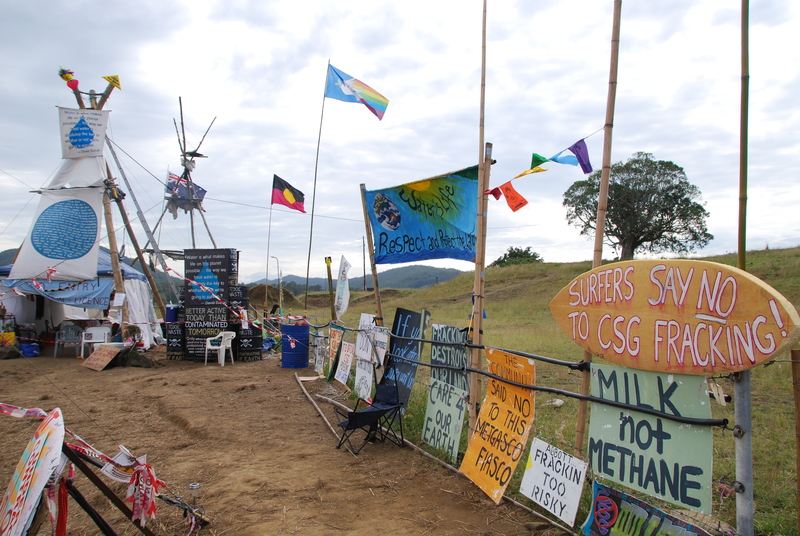 The decision avoided a large-scale confrontation at the protest site, where around 10,000 protestors were preparing to face down a large contingent of NSW Police being deployed to enable the mining companies to gain entry to the proposed drilling site. 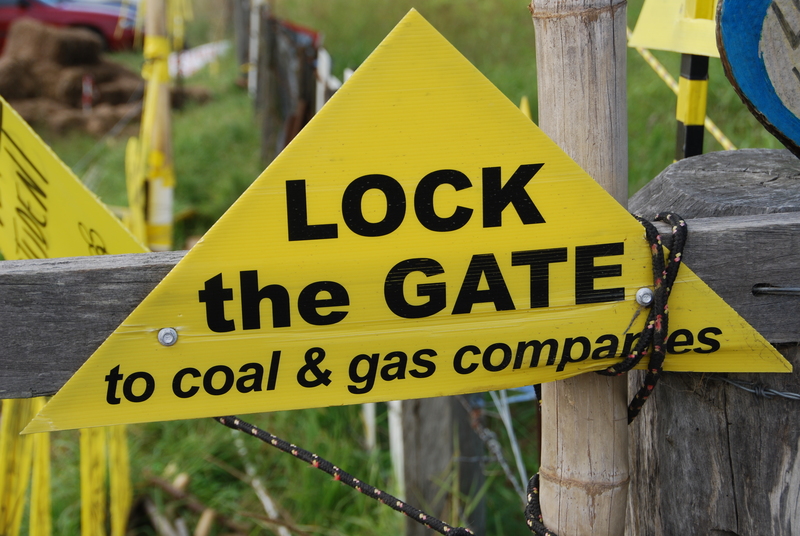 NRG is a member of a larger alliance called Lock The Gate (LTG). 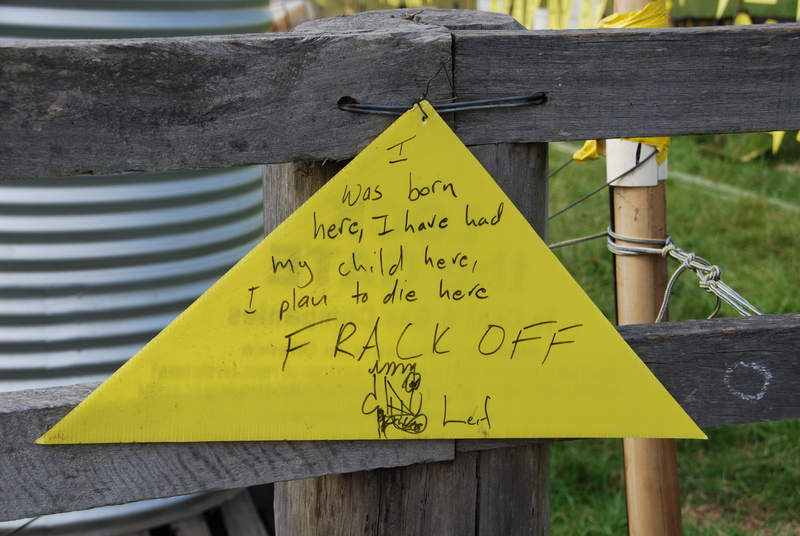 All over northern New South Wales, you can still see the distinctive yellow LTG signs on fences, gates and posts as residents continue to voice their opposition to fracking. When I wrote last week about the campaign to save James Price Point in Western Australia’s Kimberley region, I tossed up which one of these to choose for an environment themed post. A comment on that post about fracking, from my friend Mike, made me decide to write this one too. But like James Price Point, it’s a matter of winning the battle but not yet the war. Resources are owned by the Crown, not the landowner and landowners have a limited ability to negotiate access to their land (or any compensation). 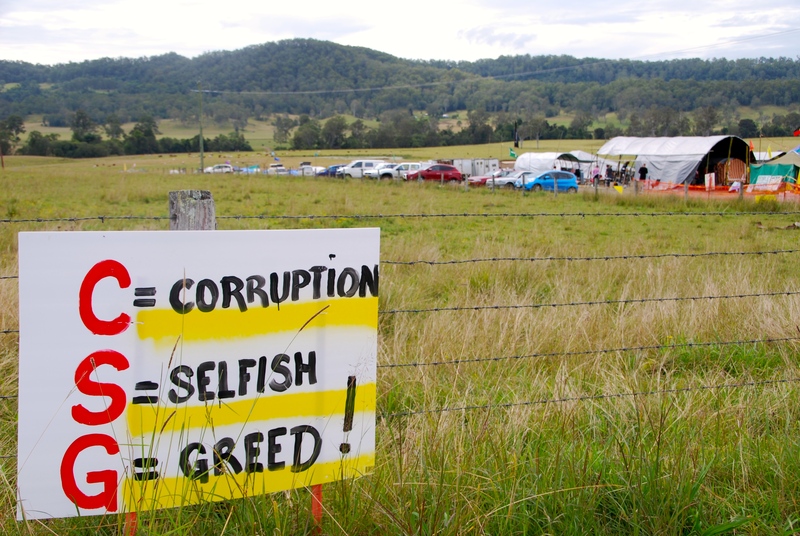 The Lock the Gate movement encourages landholders to do just that; to lock out resource mining companies as a form of peaceful non-cooperation. Around Australia, more and more landowners, supported by the wider community, are doing just that to protect their livelihood and their land. 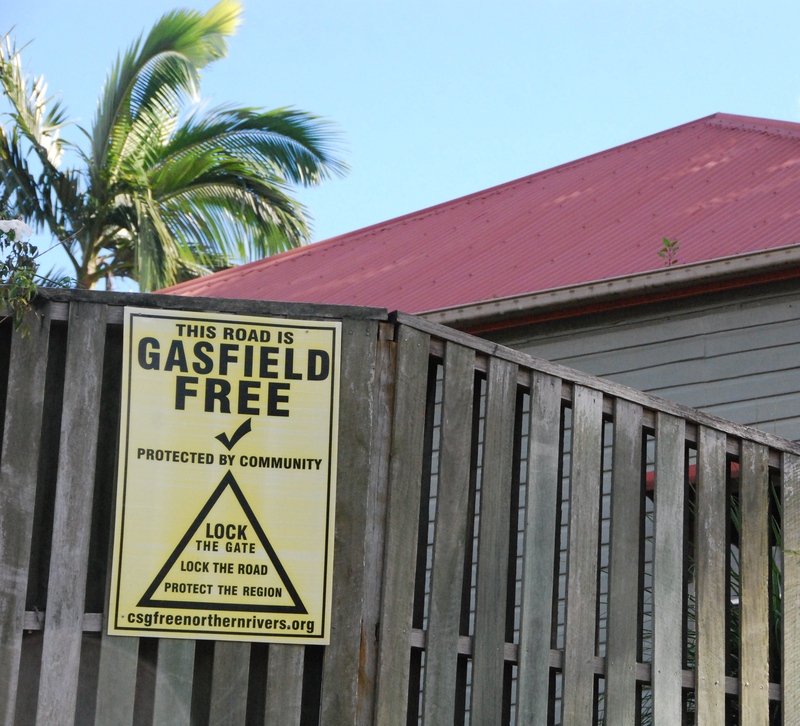 In some ways, it’s a complex issue (there is a lot of information on the Lock the Gate website); in other ways it’s a simple need to protect the land we live in from contamination and exploitation. As a matter of fact A Glass Half Full, I went to the Protest Camp in Bentley. I was amazed at how the protesters had rallied together. A fine bunch of people. Your story is spot on. Well done. Great photos.